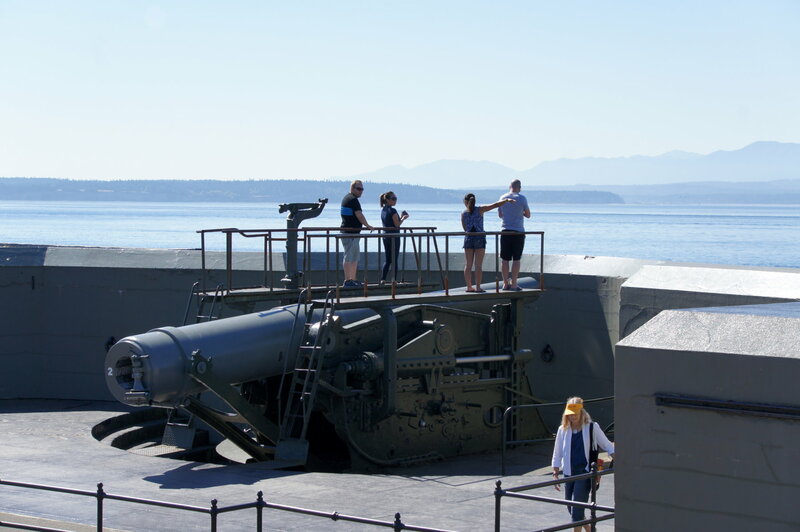 Fort Casey is my first stop whenever I ride Whidbey Island. 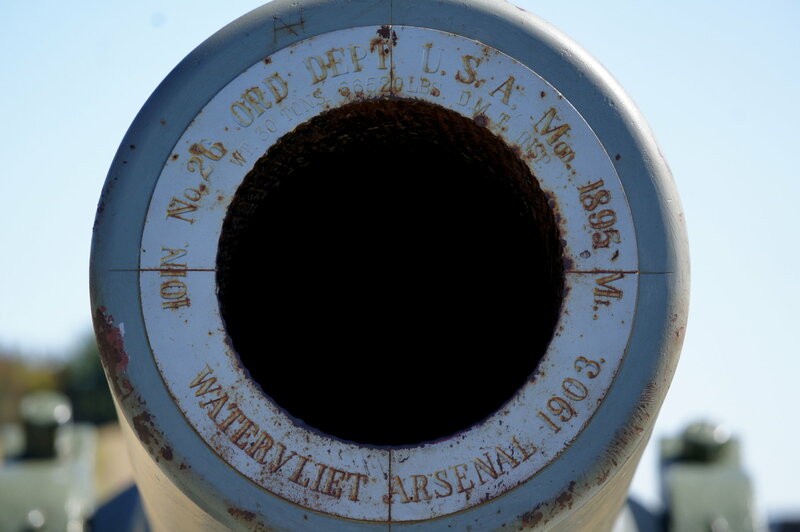 About 15 miles from the ferry, the Fort is an interesting place with big, old guns and a lighthouse nearby. What’s not to like about guns and lighthouses? The guns here are pretty interesting. This fort along with two others triangulated their fire on Puget Sound in the event of any enemies trying to come through and wreck our shipbuilding activities. The guns would hide behind the wall and then rise over the wall to shoot. They’d hide behind the wall again when their shell was fired. 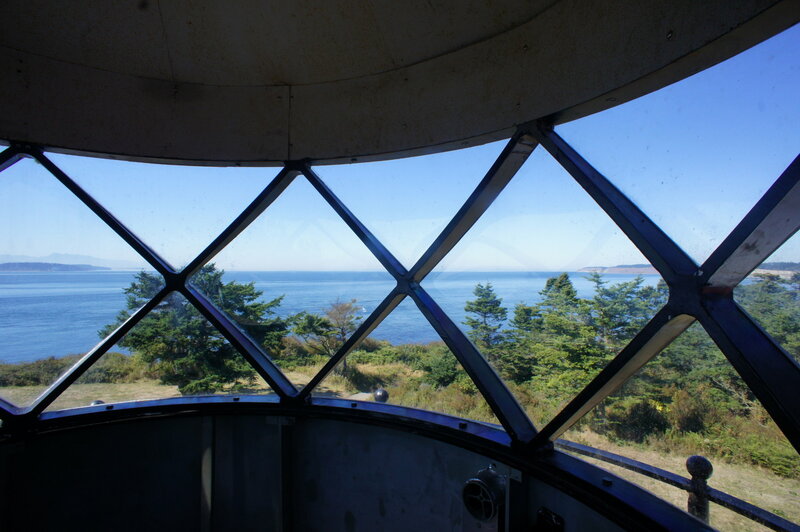 Once you’re done playing on guns, walk or drive the short distance to the Admiralty Head Lighthouse. Another lovely black on white with red roof lighthouse, this one has some substantial keeper’s quarters built right into the structure. 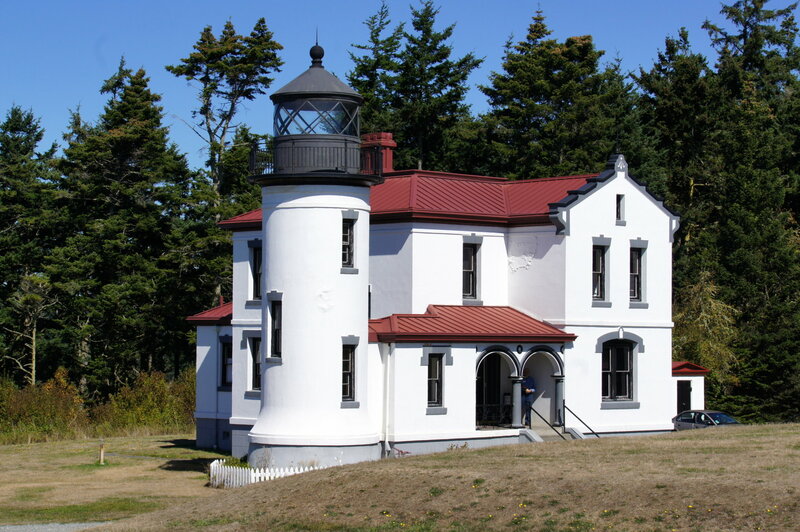 Many of the other lighthouses in the region have the keeper’s quarters in another building nearby. Also unlike many of the lighthouses in the region, you can go up to the top. The spiral staircase leads to a great panoramic view through the criss-cross glass. 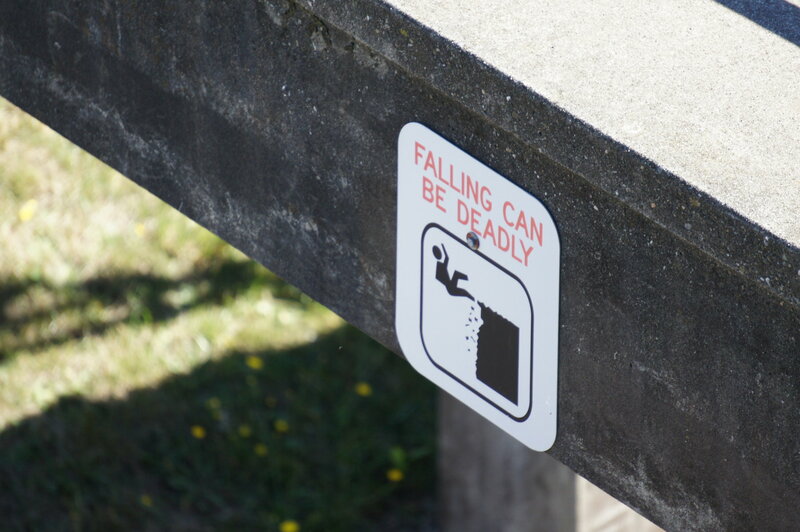 So watch your step over at the fort.